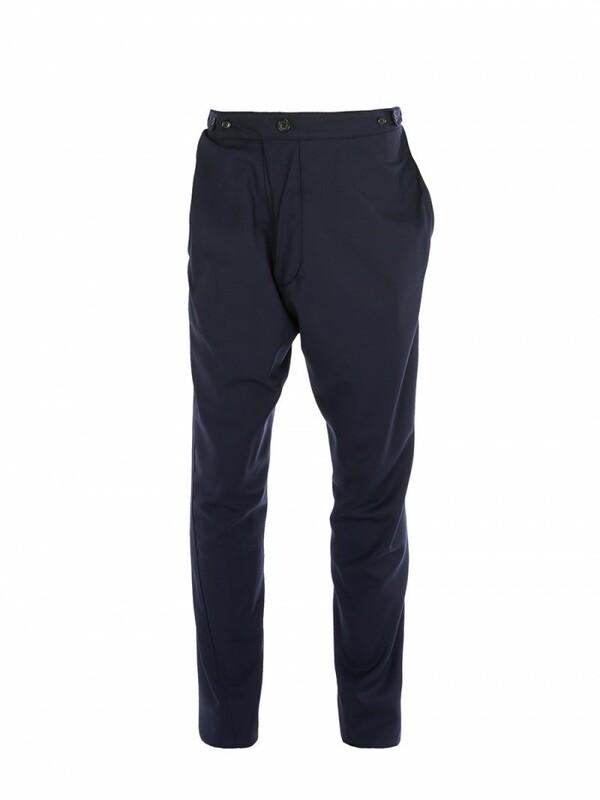 Vivienne Westwood Man Alcoholic Trousers Navy. Constructed with Westwood’s trademark drunken system that harks back to traditional British tailoring methods with a twisted, skewed approach applied to the cutting, the Alcoholic Trousers in timeless navy blue. Crafted in pure new wool, these iconic menswear staple feature a dropped crotch and asymmetric button fly, finished with a three pockets design and button tabs to adjust the waistband.